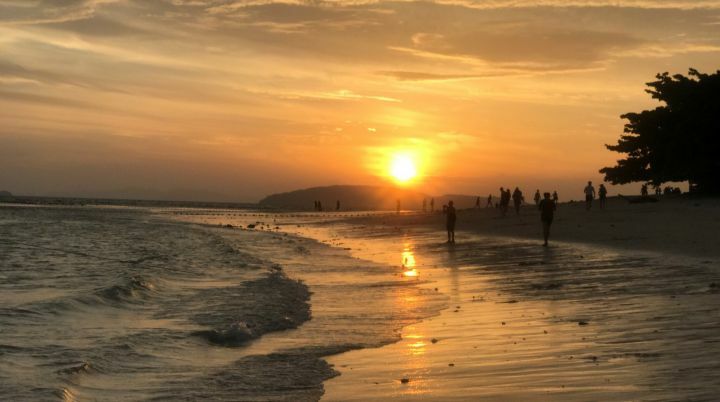 Get to know these 7 significant islands in South Andaman sea just off the coast of Krabi where you can enjoy a “worry-free” day from afternoon until night time and get a little bit of this and that from every island you visit. You can swim, snorkel, roll on the sand, and also explore the glowing biolumeneccent if you happen to be on board on the right day. Koh Tan Ming Island. Snorkeling near the small Island in front of Koh Poda, before heading around the island and over to Koh Si. This rocky outcrop has many underwater reefs and caves. Puya Bay. Relaxing on the beach. Chicken Island. Snorkeling. There is several beautiful coral reefs, which are great for snorkeling. This very scenic and idyllic location is a great spot for taking photos. Tup Island. You can explore Tup Island and walk to the Chicken Island on the natural sandbank or relax on the white sand beach. Still one of Thailand’s unseen highlights and a once in a lifetime experience. 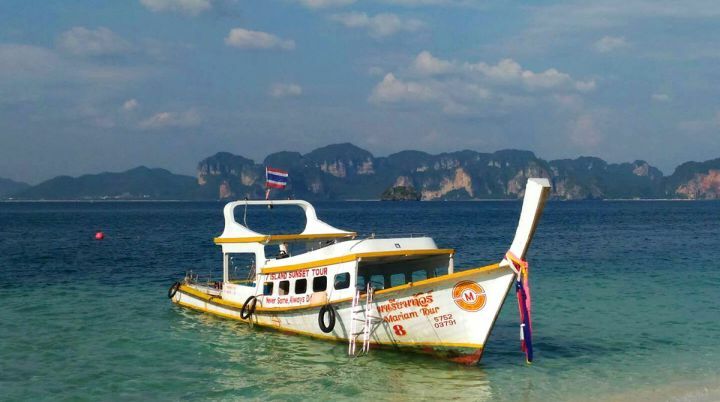 Poda Island. A beautiful island with beautiful white, sandy beach and crystal clear water. 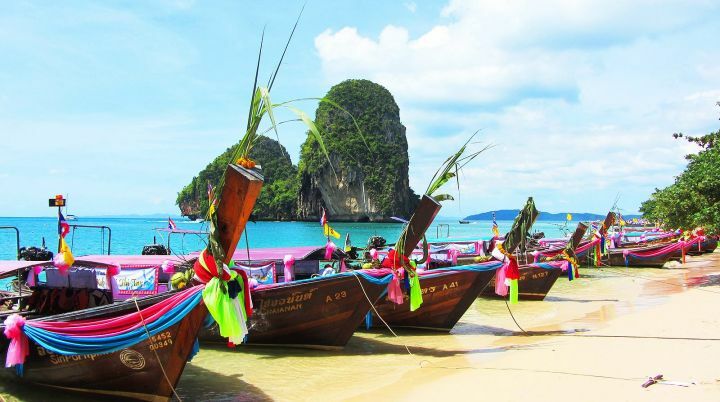 Railay Beach and Phra Nang Cave. Can take great photos and relaxing on the white sand beach. Dinner BBQ. Halaf Food. Dinner on the beach and watch for the gear sunset. Swimming with Luminescent plankton. 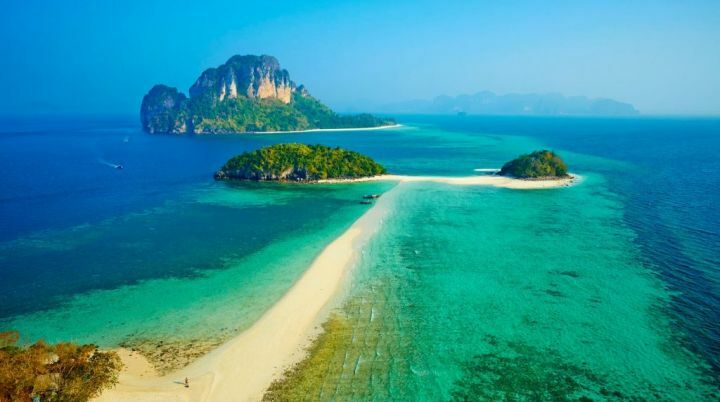 Swimming spot close to Railay Beach for a once in a lifetime experience. Fire Show. We will return to the pier around 8 PM and the last program on the trip – Fire Show, then transfer back to your hotel.